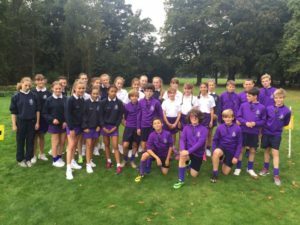 The PE department runs a thriving and busy extra-curricular programme in a large number of sports and activities. We encourage participation for all levels of ability and our ‘A’ teams are successful in many of the premiership leagues. We entered more competitions than any other secondary school in Liverpool last year. We have achieved ‘Sports Mark’ accreditation in recognition of the high participation levels in extra-curricular PE and we are part of the Liverpool Schools Sports Partnership competition programme. We take part in all the LSSP competitions and run A, B and C teams in the most popular sports. 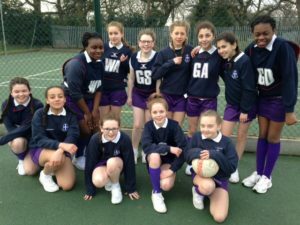 We also take part in many traditional leagues and competitions such as the English Schools athletics and cross-country competitions and the Liverpool schools premier league in football, netball and rounders. Netball year 8 girls champions in the LSSP tournament and county finalists. Hockey year 8 girls champions in the LSSP league. Badminton year 8 boys champions in the South Liverpool city tournament. Cross-country year 7 girls champions in the Liverpool schools league. Swimming year 9 girls champions in the Liverpool Schools city championships. Table tennis year 8 boys champions in the South Liverpool city championships and 2nd in Merseyside. Rounders year 8 girls 1st in the premier league. Cricket year 7 boys semi-finalists in the Liverpool Schools Cup. Cricket year 8 boys semi-finalists in the Liverpool Schools Cup. Dance key stage 3 girls 2nd in the LSSP dance competition. Netball year 10 girls semi-finalists in the LSSP tournament. Netball year 11 2nd in the Liverpool Schools’ premier league. Netball year 7 girls 2nd place in the LSSP tournament and 3rd in the Liverpool Schools city finals. Football year 8 girls bronze medallists in the LSSP Liverpool Schools’ football tournament. Cross-country year 10 and 11 girls 3rd place in the Liverpool Schools league. Athletics year 7 boys 3rd in Liverpool and 3rd in Merseyside. Athletics year 7 girls 3rd in Liverpool and 3rd in Merseyside. Athletics year 8 girls 3rd in Liverpool and 3rd. Netball year 9 girls 4th in the LSSP city finals. Football year 7 boys 6th in the Liverpool Schools’ premier league. For details of the extra-curricular timetable for this term please click here. We take part in School Games competitions. To find out more about School Games please click here. To view the school games competitions within the LSSP for this term please click here.